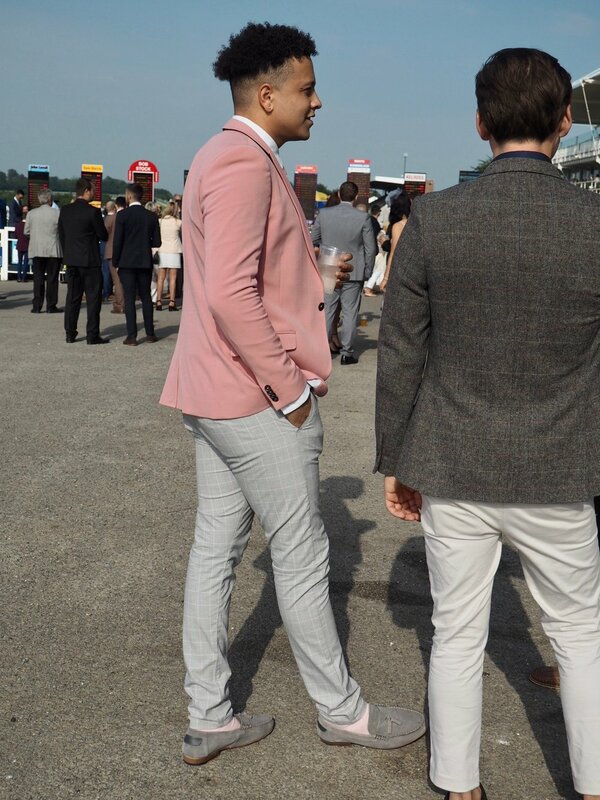 One of my summer highlights is going to the Three Friday Nights at Goodwood: eating, drinking, racing & raving! After seeing the Rolling Stones gathering absolutely no moss at their gig this year, I am even more determined that I will keep dancing no matter how old I am. And there's nowhere better than this event 'cause it's outdoors, no one can see how old you are by the time the DJ starts, and you can have a flutter on the horses, have a fab meal or picnic, and get to dress up. The first evening was a very cool, grey one.............so we ate and drank in one of the lovely posh restaurants and ignored the weather by drinking and eating for Britain (we were served high tea as well as the most delicious lunch) so were glad of the chance to dance it all off later on! The "evening" starts at 4.30 so that's a lot of food before 9.00 pm!!! That's Dalia above who, luckily for me, gets a membership for Goodwood every year so we get into the Richmond Enclosure and can park easily. But the great thing about the Friday Nights, apart from the music, is that the evening isn't as dressy as other race days. No hat needed, which was a relief on the first evening as it was so blowey! As for the other outfits people were wearing........suffice to say it was Half Term and we were both wandering around the whole evening saying, "she'll catch her death in that!" It was such crappy weather that I couldn't even photograph our own outfits let alone the other Goodwood punters. 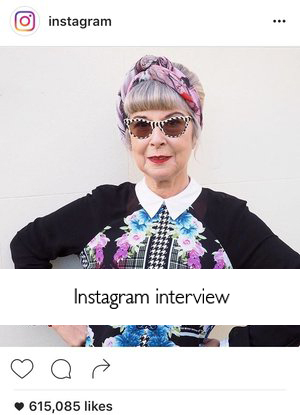 You can see more of my vintage style dress here. But, despite the weather, we did have a brilliant time, won a bit of money on the gee gees (don't really approve but it's not the Grand National), had a lovely dinner and danced our socks off to Rudimental. The post I put on Instagram says it all doesn't it! A week later and we did it all again! But this time the sun shone, it was warm, but not too hot, and we took a picnic - sort of! Dalia with her m & s salad! Why am I wearing a mac in this glorious weather? 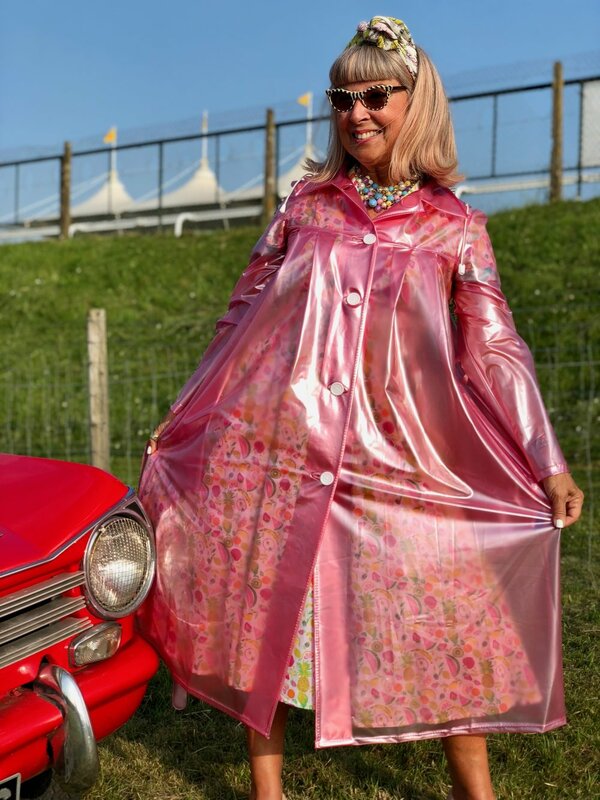 Well, with the UK weather the way it is, I jumped at the offer of a 50s style mac to go with all my 50s style dresses when Elements Rainwear offered to make me one in time for the British Summer. 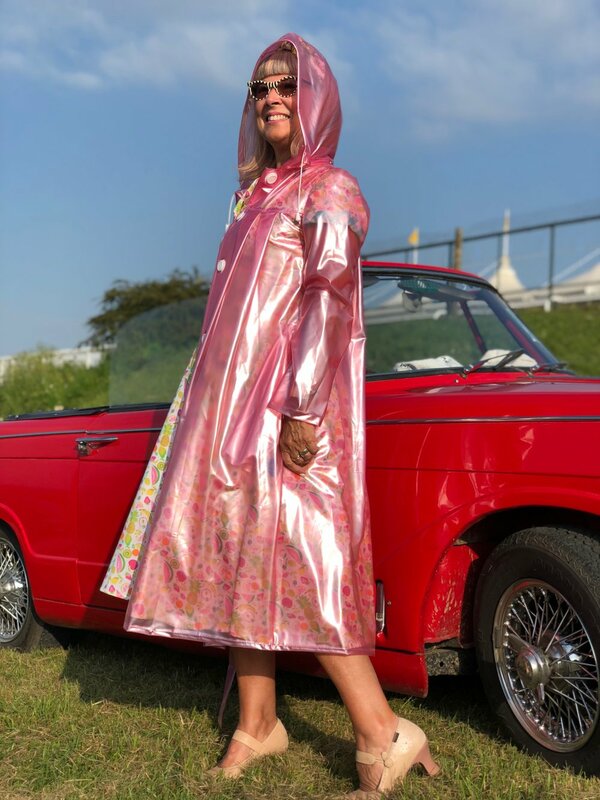 I loved it so much I had to take it to Goodwood, in case it rained or got chilly, and actually did get to wear it once the sun went down. It was much admired and a huge hit with lots of the youngsters into vintage. The youngsters (and a couple of oldies) were wearing some fabulous frocks on this sunny day and we even bumped into some girls we met last year who were enjoying a bit of a hen party. The look great but there were also some really ghastly outfits, which I didn't photograph.......why oh why do youngsters try and emulate Kim Kardashian and just look wrong? Do I sound old? That's because I am! 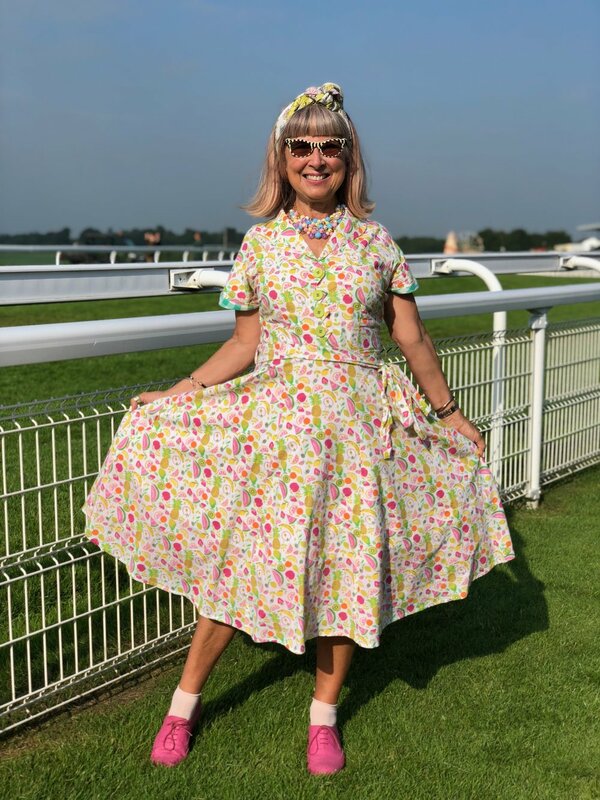 You can see more gorgeous outfits on my other Goodwood posts. Just pop Goodwood into the Search bar, on the right, if you want to see the last four years of this event, at the risk of boring you! 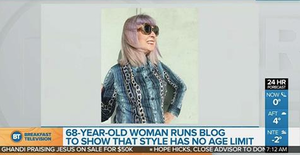 You'll notice that the outfits become less and less formal from 2015 to 2018. Of course most people go to the Three Friday Nights at Goodwood for a bet or two. I had a wonderful win on the last race with Supernova because I love Oasis and this is the first time I have actually got a shot of my winning horse! Do you go by the name only if you bet? I have to say, as an ex-raver, Example was the best DJ we've danced to for the last four years and we had an absolute ball. It was a perfect ending to a perfect day. And if you're thinking that you are way too old to join us next year just remember that the Rolling Stones are having the time of their lives on stage and in their mid-70's. When a middle-aged lady asked me, in that patronising tone, 'are you going to stay for the dancing? ', I replied that I was only there for the dancing!!! As long as I can walk I will be on that dance floor. Anyone joining me? Dance time at Goodwood, Three Friday Nights, Example & Rudimental.